Bed Cover for Nursing Home | Wholesale Bed Sheets | HY Supplies Inc.
A wide variety of Nursing Home Bed Sheets like Fitted Sheets, Draw Sheets, Color Draw Sheets T 130, Color Draw Sheets T 180, and Twin Flat Sheets from the direct manufacturer in distinct sizes and color. 10 Colors,50 / 50 Poly Cotton, Size - 42" x 72" 54"x 72", 54" x 81" , 54" x 90", Stock Subject to Availability, Shipping Varies Based on your location. 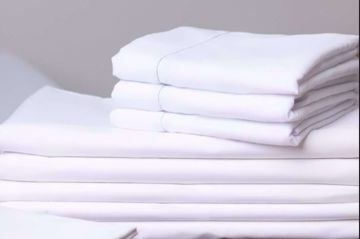 White Sheets, Size: 66" x 104", 66" x 108", 66" x 120", Pilling Proof, Anti Shrink, Wrinkle Free. Percale Sheets Avaliable in T180, T200, T250, T300, Stock Subject to Availability, Shipping Varies Based on your location.